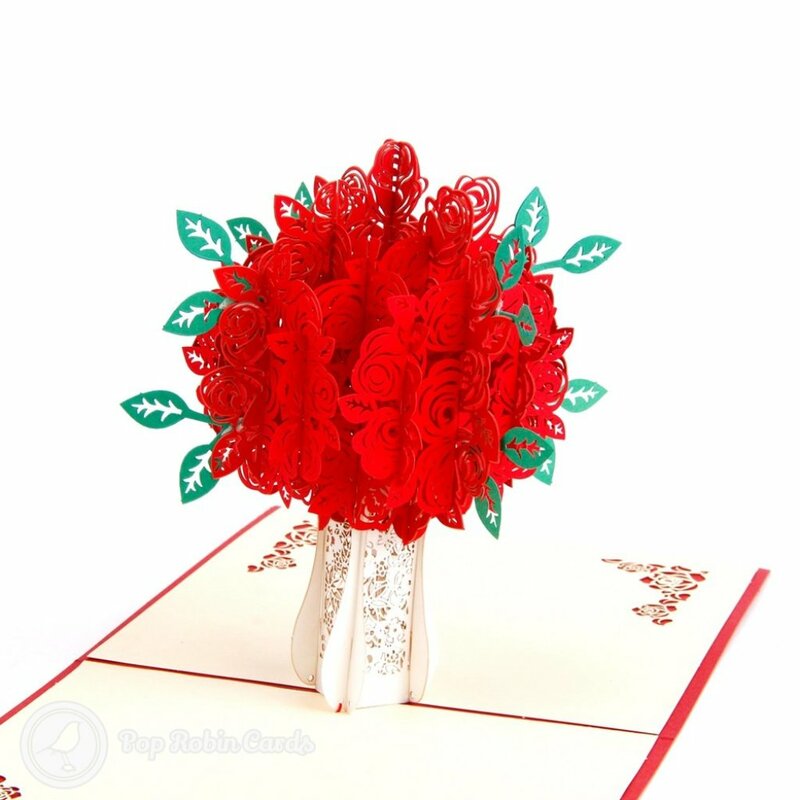 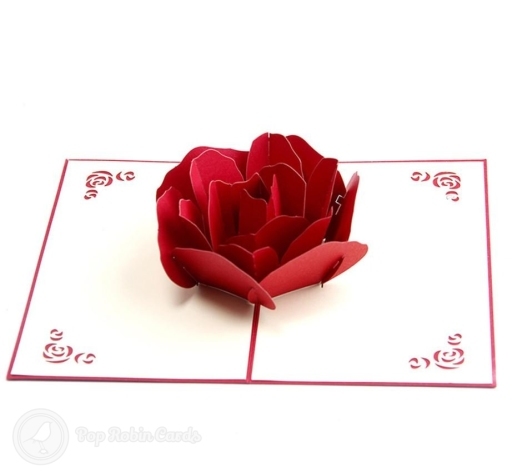 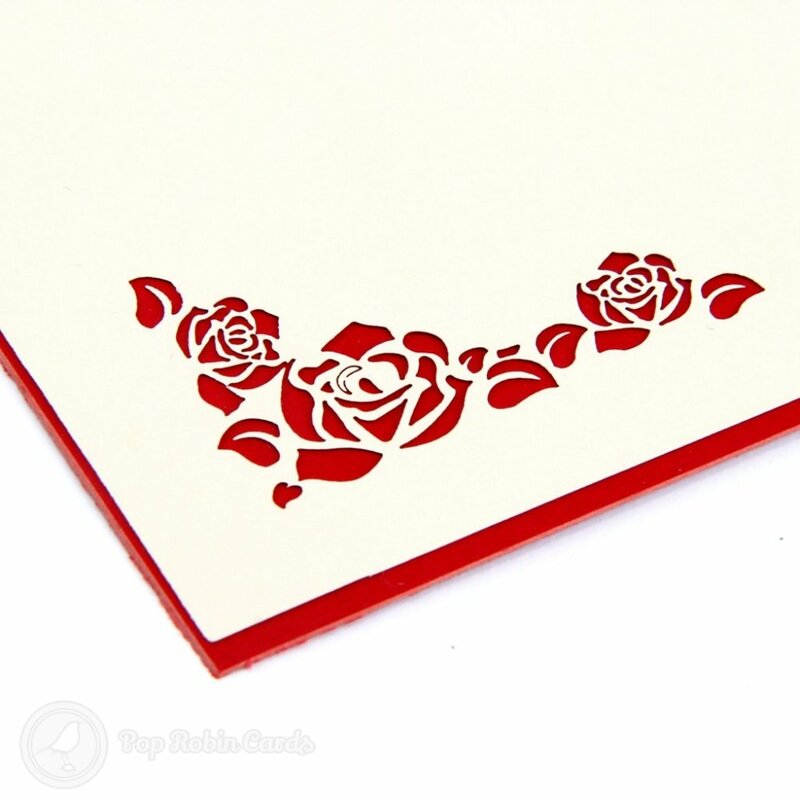 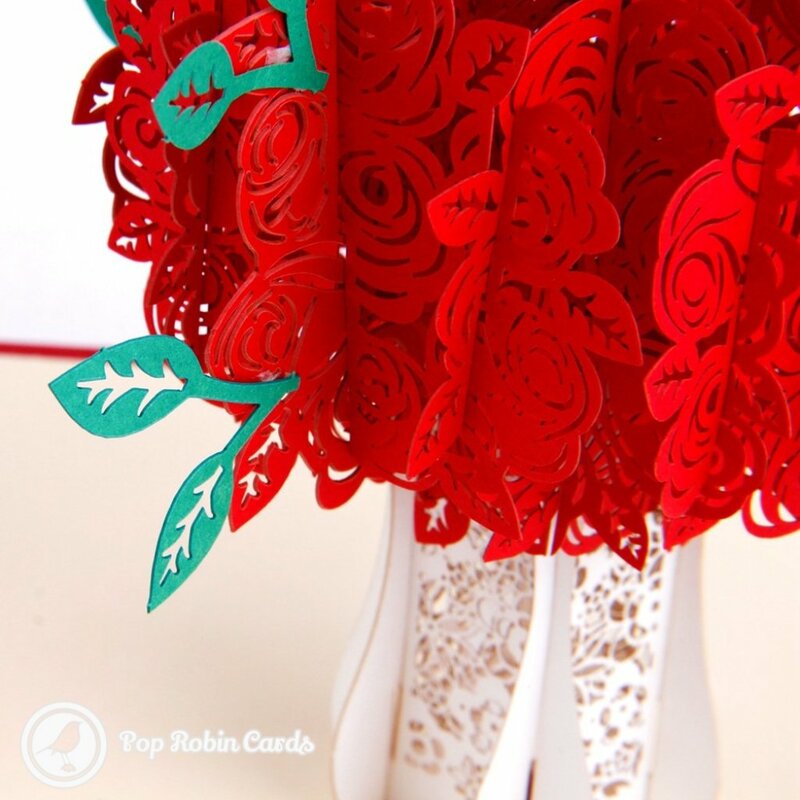 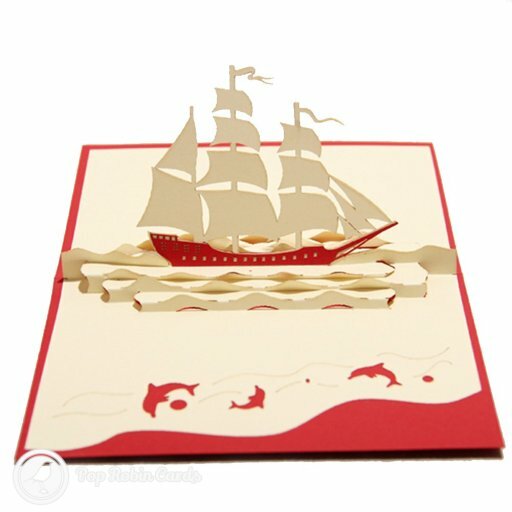 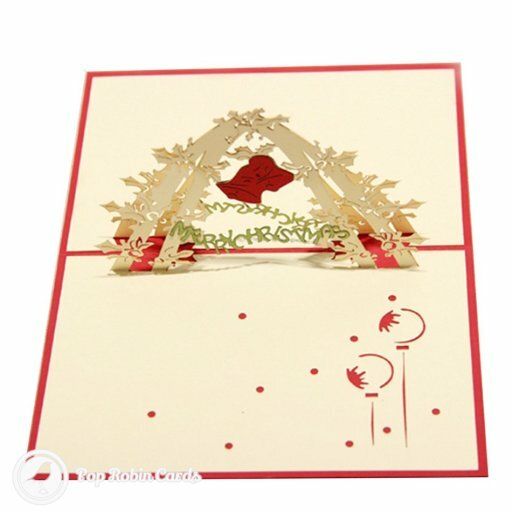 This beautiful greetings card opens to reveal a stunning 3D pop up design showing a vase of red roses. 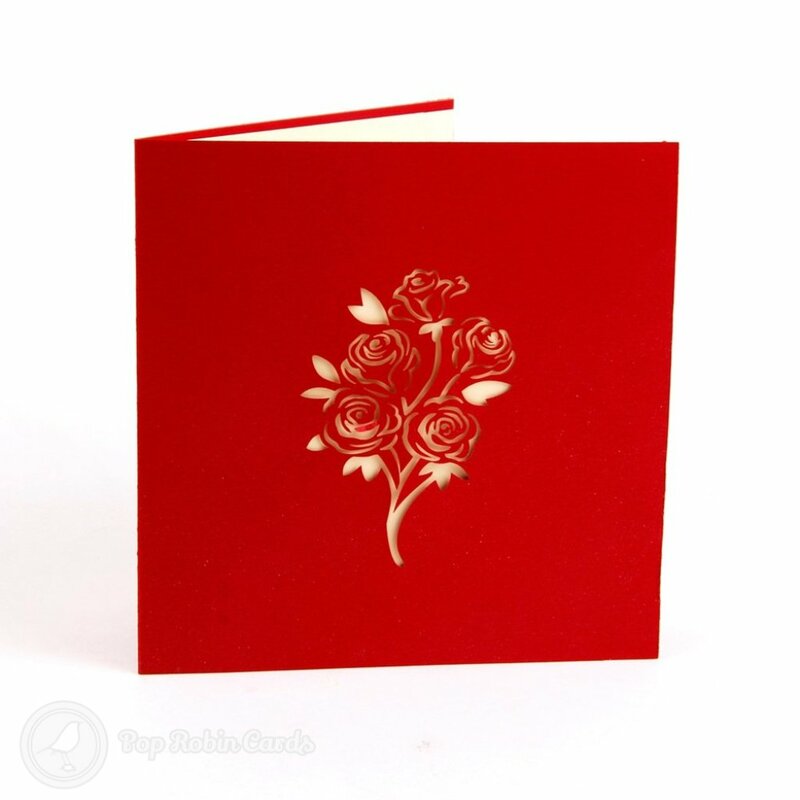 Two cover designs are available: a plain red stencilled design, and a watercolour painting design. 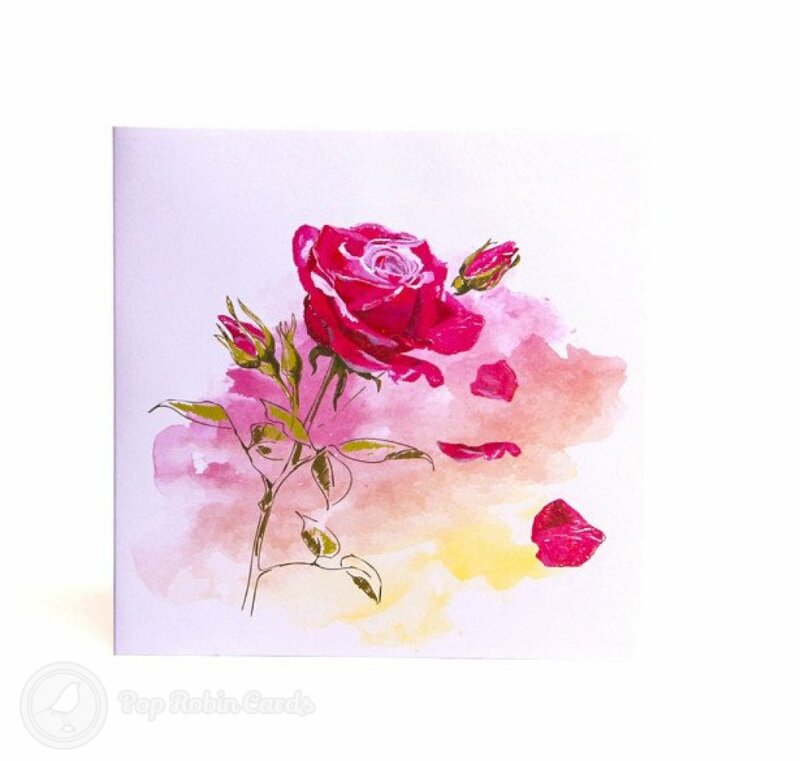 Watercolour is available.